The discovery of a cache of family letters written between 1859 and 1937 has led to a truly remarkable and evocative history. 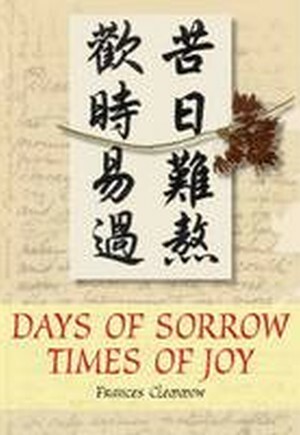 Fran Clemmow tells the story of her Scottish grandfather, Dr Thomas Gillison, who went out to China in 1882 under the auspices of the London Missionary Society. His close-knit family, originating in Edinburgh, Scotland, settled in places as far away as South Africa, Australia and New Zealand. The letters give a fascinating reflection of the social history of the time and provide first-hand accounts of key events, such as a major battle of the Boer War in South Africa, and the commencement of the 1911 Chinese Revolution when the last Emperor was overthrown. Thomas Gillison married Dr Bessie Harris, one of the first generation of women doctors. They brought up their family of six children (two of whom died young) while working in the Mission Hospital in Wuhan and such was their commitment to China and the Chinese that, between them, they devoted ninety-eight years of service to the Chinese people whom they so loved."